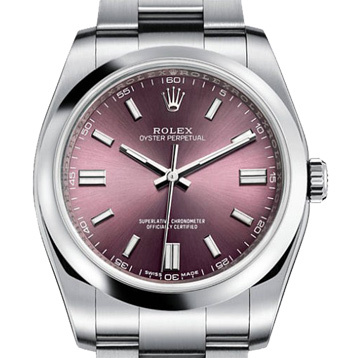 Rolex watches have come to be known as “the only watches that count”. There you go, starting with the PR and marketing genius. Here is the first four in a series of stories that attempt to explain the secret behind the stellar success of Rolex watches and to shed light on some of the behind the scenes machinations of this fascinating institution and brand. 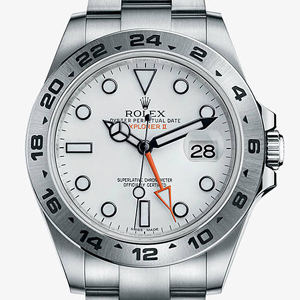 Whether for good reason or exceptionally great marketing is really up for debate, one fact holds true, that Rolex watches are the watches of choice for those who depend on absolute reliability from their watches (let’s talk high altitude climbers, deep sea divers, your average round the world solo sailor, and golfers (for whatever reason they might need such ultra precision and reliability). And let’s not forget anyone looking to look the business and giving the impression that their time is so valuable that it requires a $30,000 watch to express every second to anyone with an eye for a watch. There is one practical factor – money being the mother of all things practical – that sets Rolex watches apart is that it is among those rarest of manufactured items whose value actually keeps, nay, increases, with time which actually makes it an investment. And for that, viva “handmade by Swiss tradition using the finest materials” and a good dose of genius Swiss marketing. 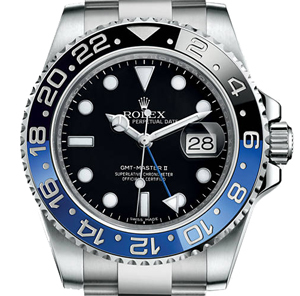 Despite the worldwide fame of Rolex watches, the company behind the timepieces is somewhat shrouded in mystery, and perhaps it is that very mystique that lends itself to the value of the Rolex brand. The secretive corporate nature of Rolex, be it intentional or intrinsic, only lend value to these watches and the clamour to be wearer. 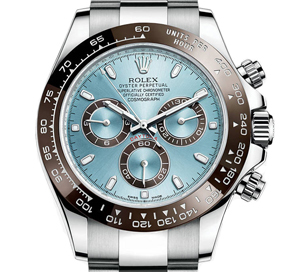 So what is it about Rolex watches and what secrets are they keeping? Here are a few that can be uncovered with a little legwork, informed (and a bit of creative) guessing, and some that have been brought to light over the years – no thanks to Rolex. A rare picture showing the young Hans Wilsdorf on a London bus. It’s somewhat telling of Swiss marketing that there’s an ad for Nestle on the bus. Nope, Rolex watches were first made in London. The company did not even start manufacturing watches, it started as an assembler of watches – by purchasing ready made components and assembling them into rather nice looking watches. It was a rather clever 24 year old German immigrant by the name of Hans Wilsdorf who first started making Rolex watches in 1905, throwing together components imported from Switzerland and selling them as Made in England. His main customers at the time were jewellery stores who bought the watches put their own names on them and sell them as their own brand. He moved his production to Geneva in 1908 to be closer to the craftsmen and manufacturers of components. Then in 1919, Wilsdorf moved his entire operation to Switzerland prompted by the massive taxes the British government was levying on imported precious metals. After all, someone had to pay for World War I. These exorbitant taxes made it impossible for most watch manufacturers to make any money no matter how coveted there pieces were. It is among the reasons cited for the total collapse of the British watch industry at the time. This endemic to the British watch industry and among the reasons for its ultimate collapse and the subsequent dominance of the Swiss watch industry. Minus the superb timepieces behind it and some rather clever branding, the name Rolex does not really evoke images of grandeur and ultimate luxury. Nay, in fact it sounds almost gimmicky – even rolexy if one may. So why and how did the name come about? There is an unconfirmed and barely documented anecdote about it being an extract from the French “Horlogerie exquise” (exquisite watch making). But there is little to support this and the fine people of Rolex appear inclined to sniff their fine noses at this prospect. Besides, who’d want to admit they got their inspiration from the French. There seems to be more documentation regarding the search for a name that is easy to pronounce and remember (that’s some of that clever marketing at work, that is). Another theory with some credence is that our clever Wilsdorf thought Rolex sound a bit like the sound of a watch being would. Rolex, rolex, rolex. Get it? This is the story that most people seem to find quite quaint and are inclined to go with, including the finely manicured folk at Rolex. One cant help but think that Rolex has the name number of letters as Casio. See the gimmickry? Not that Casio is gimmicky or anything but you know what I mean. Rolex also has the same number of letters as Seiko, the company that practically brought the Swiss watch industry to its knees and almost almost wiped it out. More on this later. In any case, Rolex has become among the most recognisable names in the world of fine timepieces and synonymous with luxury, quality, and things that are quite expensive – not to mention rather clever branding. It all started with British fighter pilots taking a shine to Rolex watches and finding them to be very reliable (indeed) under the challenging conditions in which they operated. And you though Amazon invented online shopping. Now the Germans who captured and imprisoned our Rolex wielding British fighters were inclined to ‘confiscate’ their watches which they thought were quite wunderbar indeed – seeing as they cost nothing and all. Also, your average wily German POW camp commandant would have had a nagging feeling that it was best that their prisoners did not know the time and were not able to synchronise activities and as such were a lot less hassle to keep confined. Altogether not a bad assumption and one that played right into the hands of our equally wily (and equally German) Wilsdorf. So Walsdorf promised that every pilot captured pilot who lost his Rolex watch would be given a new one free of charge based only on their word that they did in fact own a Rolex and that it was confiscated. This offer, needless to say, impressed all the British pilots in POW camps, but more importantly, it impressed everyone from every other nationality incarcerated in German POW camps; Australians, New Zealanders, South Africans, Canadians, and, perhaps most importantly, economically beefy Americans. It also came as a demonstration (and here’s some really clever PR at play) of Walsdorf’s confidence that the Allies were going to win the war – which pleased allied soldiers immensely. SO he basically hedged his position to take advantage of a post war boom in demand for Rolex watches from the biggest potential market possible. Clever fucker, don’t you think? The Great Escape here is the same one you’re thinking of, the escape of a whole load of allied POW’s from a German camp and the inspiration for the film by the same name starring Steve McQueen, James Garner, and Charles Bronson (who knew?). So who’s this Corporal Nutting you might be asking. Well records have it that Cpl Nutting, a downed RAF Officer was among those POW’s to lose his Rolex watch to the sticky fingered guards and availed himself of Walsdorf’s offer of a free replacement. The rather discerning taste if Cpl Nutting. It seems, however, that our Corporal requested a Rolex Oyster as opposed to the more popular Speed King that many of his fellow RAF officers favoured – what with it having Speed and King all squeezed into one name. Oyster? You can see that would go down with your well quaffed RAF international men of action. Also, the Speed King was a more dashing and somewhat cheaper watch which would also explain it’s popularity among pilots. In any case the discerning taste of Cpl Nutting caught the eye of Waldorf, who always had an eye for a good PR opportunity. This here is where the facts get a bit fuzzy. It seems that the watch was delivered to Cpl Nutting at the Stalag Luft III POW camp where he was being accommodated along with a hand handwritten from Wilsdorf himself congratulating him on his fine taste, declining payment for the watch, and apologising for the delay in the delivery (trust a watchmaker to worry about delivery time). The letter that holds the story together. Not quite handwritten, not delivered with the watch (late), but correctly addressed to Cpl Nutting at Stalag Luft III and apologising for the delay. Dates show the letter arriving eight days after dispatch from Geneva. Pretty good during a war. Now really, what great PR is that! It’s over 80 years later and here it is, the story is still contributing to the value of the Rolex brand. Anecdote has it that CPL Nutting was able to use his newly acquired Rolex Oyster to time the movements of the German guards hence help in planning what became known as the great escape. Any case, that’s the story of how Rolex watches got itself associated with one of the greatest dramas of WW II POW’s and one of the greatest war movies made. Where the facts become fuzzy is how come the German POW camps would confiscate the watches of POW’s on the one hand (is that a pun? ), yet on the other hand allow a watch (a more expensive one at that) to be delivered to the very prisoner from whom a watch was confiscated. Maybe it had something to do with honouring the mail system, or maybe no sane POW camp commandant is inclined to search prisoner mail. Another thing here is do you really need and watch, and one that’s quite expensive, to time the movement of German guards at POW camps? Perhaps you do, seeing as they were Germans. Good story nevertheless, and if that ain’t PR and marketing genius. After WW II the Rolex star continued to shine brighter – with much thanks to the reputation the watchmaker gained from allied POW’s, and of course, the superb quality. Sir Edmund Percival “Ed” Hillary with his Nepalese guide Tenzing Norgay taking a moment to check the time as the first human beings to summit Mt. Everest. Then, in 1953 Rolex watches made the headlines again (at least the headlines in the horlogerie media). On May 29 of that year the first humans to reached the summit of Mt. Everest for the first time under the leadership of Sir Edmund Hillary, and all of them were wearing Rolex Oyster Perpetual watches. Talk about great PR. And to make Hans Wilsdorf rub his watchmaker’s hand with absolute glee, it appeared that and not one of the watches had lost a single second of time despite being high enough to be hit by a passing. It was now beginning to seem that Rolex watches were not just the result of some very good marketing but were, in fact fabulously well made little machines. 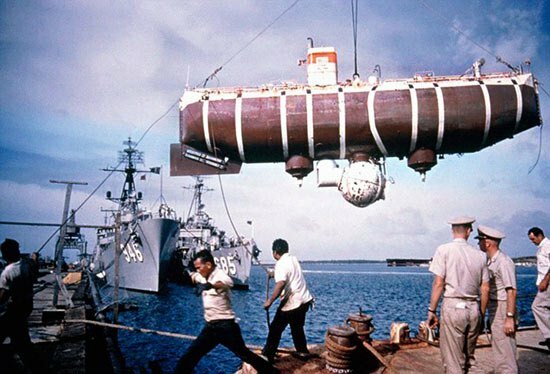 Then, in 1960, the “Trieste”, a US Navy experimental deep sea sub (or what is actually called a bathyscaphe) dived to the deepest point on earth at the bottom of the Mariana Trench; a boggling depth of 35,798 feet. There’s a Rolex strapped to the outside of that thar bathyscaphe. At that point the Trieste would reach a depth that is over 8,000 feet deeper than the height of Mt Everest – and the approximate cruising altitude of commercial jets. So if you’ve taken a look out of a plane window you’ll have a good idea what kind of depth that was. 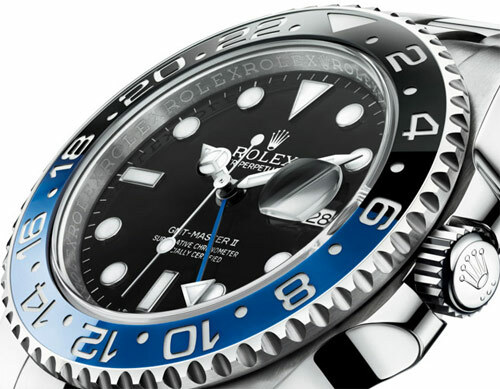 Someone at Rolex, it would seem, thought it a rather good idea to strap a Rolex watch – albeit one that was specifically designed for this sort of abuse – to the outside of the sub (it’s hard to say bathyscaphe without sounding smug). Good PR never dies, it just goes deeper. When the Trieste returned to the surface bringing fine Swiss made time piece everyone was, needless to say, suitably impressed that the watch had not been crushed back into a nugget, neither had any breaks nor cracks appeared on, and yes, it was still working, and no, it had not lost a single second. This is despite the mind bending 14,000 pounds of pressure per square inch that the watch had experienced. This certainly makes it quite a good watch to be wearing next time you find yourself in a 14,000 pound per square inch pickle. Sadly, Wilsdorf never saw his watch reach the bottom of the earth because had died in July 1960 in Geneva. Seeing as no story about watches is complete without a proper murder, here’s a good one in which a Rolex watch helped police nab a murderer and all round rogue. Our story starts with high school dropout Albert Johnson Walker who was an all round charlatan, fraud, and a Canadian. Having cheated 70 victims out of $3.2 million real estate investment scam, Johnson, along with one of his three daughters, fled Canadian authorities to the UK. While in the UK, he met a fellow Canadian by the name of Ronald Joseph Platt and the two, as is the case when two nice Canadians meet, set up a business partnership. When the hapless (but nice) Platt returned to Canada, Walker promptly slipped into his identity, with his daughter posing as his wife – despite being all of fifteen year old – in order to avoid detection by Interpol who were after him for the Canada thing. Platt, however, got wind of someone running around the UK using his name, and in 1996 returned to the UK and confronted Walker. Platt threatened to expose Walker’s fraud unless the latter confesses publicly to all who he had dealings with under the Platt’s name. It seems that it was about this time that Walker decided that the best way out was to dispatch Platt thereafter-wise. And so he did while the pair were out in the English Channel on a fishing trip. Walker then weighed Platt’s body with an anchor and dumped the body. By all accounts there was nothing to tie Walker with the disappearance of Platt and for a while it looked as though he might just get away with. Except for one Rolex watch. It seems that Walker was wearing his Rolex when he was murdered and was still weaning it when he was dropped to the bottom of the English Channel. 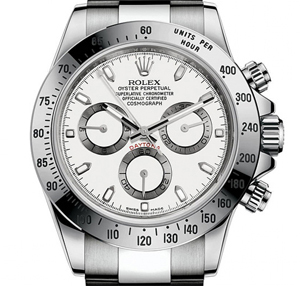 How anyone could neglect to nick a Rolex watch – if even off a dead body – beggars belief. But that, it appears, is what transpired. A costly mistake for Walker because two weeks later Platt’s severely decomposed body was found by a fisherman and the only identifiable thing on was – you guessed it – his Rolex watch. Needless to say it was still working and keeping the correct time. From there, it was only a matter of time before the police traced the watch back to Platt, and from there a matter of time for the police to zero down on Walker. Walker later admitted that it did occur to him to take the watch from the body but was worried that someone might recognise it. So there you, a Rolex watch points the finger to its owner’s murderer and notches another first for the most superb watches in the world.